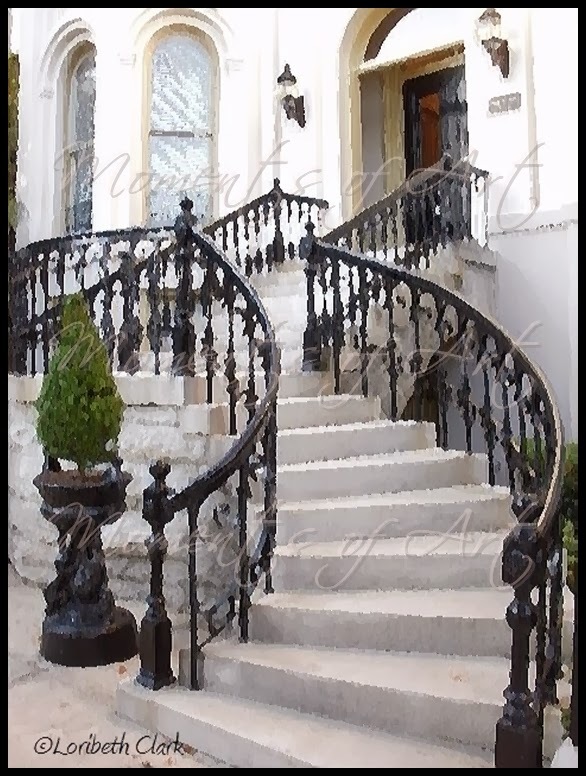 This painting was more difficult to paint, because of the detail of wrought iron. But it was so worth the effort because I fell in love with the curved stairs leading to the entrance of this building. I wish I knew if it is a house or business. I like to think of it as a home because it seems so romantic. This painting is the second of my four-part series of watercolors inspired by photographs I took while strolling around Forsyth Park with Jim the day after we were married. For me, they invoke memories of the most romantic moments of my life.